The 1986 National Childhood Vaccine Injury Act gave full indemnity to vaccine makers and providers in exchange for the promise that HHS would ensure vaccine safety was made a priority. The ICAN notice requests confirmation that certain obligations regarding vaccine safety required under the 1986 Act have been fulfilled or will forthwith be fulfilled: Deficiencies in the Pre-Licensure Safety Review of Pediatric Vaccines, Post-Licensure Surveillance of Vaccine Adverse Events, Identifying What Injuries Are Caused by Vaccines, Identifying Which Children are Susceptible to Vaccine Injury, Removing Claim “Vaccines Do Not Cause Autism” from the CDC Website, Refusal to Conduct Vaccinated Versus Unvaccinated Study, and Reducing Conflicts of Interest at HHS. ICAN has given HHS notice that continued failure to act will result in legal action against HHS – and the right to take legal action is written into the law. When the Act was drafted, Congress was afraid we would end up exactly where we are today, with safety and informed consent being ignored while drug companies profit in the billions. Congress was correct to fear that the safety provisions they so carefully crafted would be completely ignored. Much of Washington State law regarding vaccination is built upon the premise that safety is being properly addressed at the federal level. In enacting RCW 28A.210.060 through 28A.210.170, it is the judgment of the legislature that it is necessary to protect the health of the public and individuals by providing a means for the eventual achievement of full immunization of school-age children against certain vaccine-preventable diseases. The above RCW assumes immunizations recommended for children are proven safe and effective. But HHS’s failure directly impacts the integrity of all state laws regarding vaccination, including daycare and school requirements, which are based heavily on the ACIP recommendations. ACIP recommendations are not founded in the science that is required by law to be performed to ensure safety. Both Congress and the Supreme Court have ruled vaccines to be unavoidably unsafe. The full impact of a vaccine or concurrently administered vaccines on individuals or at the population level are not known until after they are being used by the general public. Safety and effectiveness assessment should be perpetually ongoing. It is the duty of the Secretary of Health to fulfill these responsibilities, and others, regarding vaccines and vaccination programs. With the incontrovertible data presented in the HHS notice, and the fact that WA State DOH follows federal vaccination guidelines, the Secretary of Health can no longer ignore the costs and consequences of the one-size-fits-all promotion of vaccines. The Secretary of health cannot ignore consequences of forming public-private-nonprofit partnerships that have turned the state immunization program into a marketing arm for drug companies. 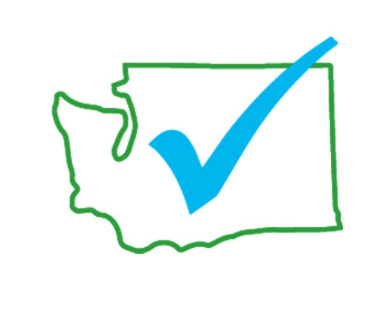 We at Informed Choice Washington are looking forward to working with the DOH to ensure that the Secretary fulfills his obligations to evaluate vaccination policy in order to appropriately distribute full information on vaccine risks and limitations to the public, track adverse reactions, and look for negative health trends associated with vaccination policies. We are hoping that DOH will choose to work with us on this. Regardless, we will be taking steps to ensure that DOH is held accountable as required by law.